An exciting new dual role, working for both Pendle Refrigeration Wholesale Ltd and Practical Refrigeration Training Centre Ltd.
Pendle Refrigeration Wholesale Ltd - a family run refrigeration wholesaler initially trading as Pendle Refrigeration Services Ltd from 1983 and then becoming the wholesaler as it is now known in 2007. 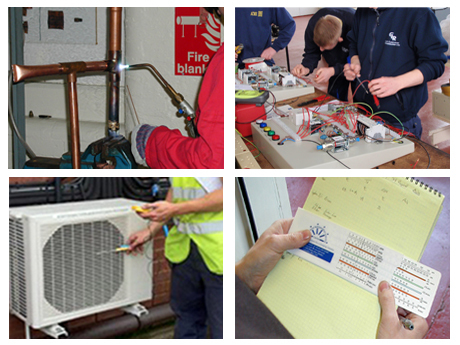 Practical Refrigeration Training Centre Ltd - a specialist RAC training centre first formed in 1990 and taken over by the present management in 1995. For Pendle the need is for someone to take over the technical sales and marketing side of the business, working closely with the present team. For PRTC, some sales and marketing as for Pendle but also a teaching role with scope to get involved with our commercial courses as well as the NVQ training. The sales and marketing elements are not a full time role at present plus involvement in PRTC's courses will enhance product knowledge and help develop an understanding of the marketing potential for both companies. Enjoying variety and new challenges in a busy and demanding environment, ideally you will have at least 10 years'experience in the RAC industry and a sound technical knowledge. Training will be given where needed and there is the opportunity to adapt this role to reflect your personal background and experience.